Removing nuisance animals from your home often isn’t the end of the battle. Once the animals are gone, they generally leave behind waste and damage that can pose a threat to the safety of your family and your home. Mice love the soft insulation in your attic, and it makes a perfect place for them to call home. Unfortunately, when mice turn your attic into their home, they also use it as their restroom. 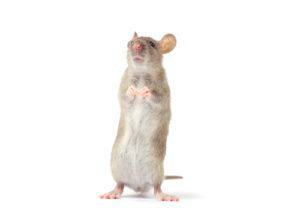 The urine and droppings that mice leave behind are carriers for diseases, and leave a foul odor in your home. On top of that, when the mice tread on your insulation, it compresses it, which reduces its efficiency, costing you more on your power bills. Fortunately, Critter Control is well experienced in attic restoration, repairing the damage left behind by the nuisance animals, and returning your attic to its very best. We are able to remove the old, soiled and inefficient insulation and replace it with brand new material, bringing your energy costs down significantly, especially in an area as warm as Orlando. Mice also have a habit of chewing on things that they shouldn’t. A large amount of wiring typically runs though the attic, and can become damaged by mice. Thankfully though, that’s another aspect that we cover during our attic restorations. We also inspect any ducting and ventilation in the attic for damage, and can repair or replace as needed. Having nuisance mice or other animals in your attic can be frightening and create many headaches. Let the trained professionals here at Critter Control remove those nuisance animals, and restore your attic so it looks like nothing ever happened. Give us a call at 407.295.7194 today with any questions about our attic restoration services.